With Gold well off record highs the mainstream media currently have no interest in the precious as they need sensational headlines. Even the blogs, unless the owners are predisposed to tin foil hats, are these days rarely mentioning the yellow stuff. I'm going to mention Gold today though and I can assure you that all tin foil is still firmly located in the kitchen. I'm mentioning it as I've just bought a healthy dollop. It was the fourth place I deployed my bonus. I bought the ETF Securities Physical Gold ETC (Ticker: PHGP) which is physically backed with allocated metal subject to LBMA rules for Good Delivery, has UK reporting fund status, is ISA eligible, SIPP eligible, is priced in £ and has a Management Expense Ratio (MER) of 0.39%. I paid £77.47822 a unit so with prices closing at £78.12 on Friday I'm up a little. Not that I'm worried as I am prepared to hold for a long time. Let’s look at some Gold numbers. 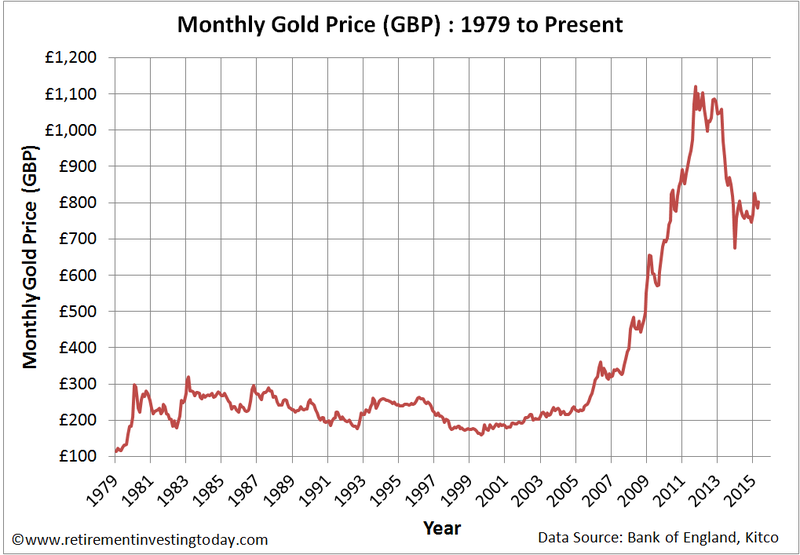 My first chart shows how the Monthly Gold Price in Pounds Sterling (£’s) has changed since 1979. Over the past year its Price has risen 3.5%. Regular readers will know that I despise these nominal charts that are so often presented because the unit of measure they are presented in is continually being devalued by inflation. 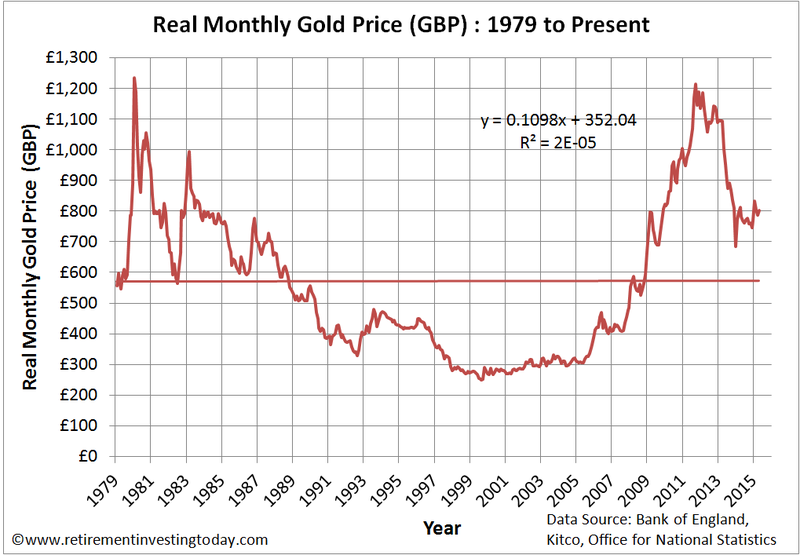 Let’s therefore correct for that and show the Real Gold Price in Pounds. The current price of £803.20 is currently 40.6% above the long run average Price of £571.25. It’s also 40.1% above the chart trend line. So with Prices well above average and the trend line why am I buying I hear you ask. For me it was nothing more than a mechanical decision in line with my now long running Investment Strategy. Within my portfolio I want 5% allocated to Gold, it had fallen below that, had become my most underweight asset class and my bonus gave me some free cash. I therefore just practised some simple Passive Portfolio Rebalancing. Are you holding Gold within your Portfolio? Have you been forced to do any buying or selling recently? Gold prices are monthly averages except April 2015 which is the spot price at time of writing. Thanks for the post, as always, RIT. 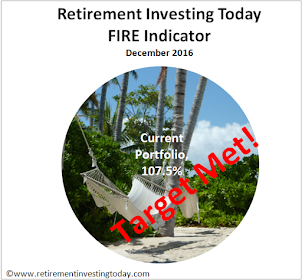 Like you say, a boring but important part of passive investing with a strategy is often to act mechanically. I keep roughly 10% gold, but I see it largely as insurance and something I hope not to have to sell more than about half of in my lifetime. If I think of it that way, I do not worry too much about the price! Having tried to figure out the reasons for medium term price movements of gold, I have given up. I can see why so many people decide that it is 'manipulated' (i.e. they have no clue, too). You mentioning gold and, recently, your drawdown %, has reminded me of something else I cannot remember you ever mentioning; inheritance and passing your money on in your lifetime. I believe you have progeny. I would be interested to know if inheritance, trusts, child pensions, child ISA forms any part of your investment strategy. However, I appreciate that may be getting a bit too personal. Performing the compound interest calculation for regular investment into the pension pot for a child from age 1 is fun! Really a very interesting article. I have been occasionally looking at gold as an investment but I had not found the time or inclination to work out the real price of gold relative to the past. You've very kindly done so above! So, thanks for that! I see it as having a small but prominent place in my portfolio in the future. I also currently have no exposure to bonds which I would like to correct sometime soon. Currently my asset allocation is rather overweight in cash and UK equities! Thanks again for the interesting post. You have no hesitation about using ETFs rather than, say, buying sovs and storing them safely, or using the likes of Bullionvault? P.S. Why 5%? Harry Browne recommended 25%. Maybe RIT considers gold as an investment for portfolio diversity, rather than purely insurance against failure of the economic system, society or a currency collapse (he probably has loads of Tesco value beans in the cupboard for those possibilities). If you are buying gold as an investment, you want to avoid the relatively huge spread you get with buying/selling bullion/coins, and the fees to hold them in a conventionally safe manner (insurance+safe/deposit box). With this in mind, the ETC RIT has chosen is good value. For me, the Bullionvault idea is only useful if you want to be a (brave) active trader in precious metals. It fails as an investment choice because it has significant fees and buy/sell spread. It fails as an insurance because you do not physically possess the physical metal (should the system fail due to a zombie outbreak, how are you going to get your gold?). Thanks, Jim, but is 5% enough to bring a portfolio useful diversity? I would think the smaller the proportion of each thing you have in your portfolio, assuming some independence (or inverse correlation) between the things, the better the diversity. Gold, it would appear, is relatively well disconnected from other things (in recent years, possibly it correlates with wealth in China and India - incidentally, where direct investment by the average western saver is relatively costly). If you think gold should be in your portfolio then at least having a little is better than having none. Looking at my SIPP alone, I have 3 categories (out of 9) with a 5% allocation. But it is a valid question and I look forward to seeing RIT's thoughts. Gold on the long term is expected to match inflation, that is basicly 0% return, myself I have 2% allocated to Gold miners that are a business that generates dividends and it has "some" correlation with gold, another 1% to Uranium, and another 2% to other commodities. I don't hold any gold (as far as I know - maybe there is some at a low level in a mixed asset managed fund such as the Investec Cautious I hold in my Sipp?). I haven't thought of holding it for diversification purposes as I am a very "green" investor who is still getting to grips with the fundamentals and there doesn't seem to be a consensus on whether or not gold should be counted as one of them. Confusing. Thanks for your comments. Let me clarify why I hold gold. Jim is right. I'm definitely not a ‘prepper’ so I am not trying to get an insurance policy against end of the world scenarios. I can’t help but think in that situation a gun, ammunition, simple mechanical vehicle, fuel, beans, rice and tinned tuna would probably get you further than gold anyway. Harry Browne’s Permanent Portfolio does recommend 25% in gold. I've seen people through their blogs/forum entries have some good success with that portfolio but I don’t know a great deal about it personally so can’t really comment. Do any readers run this portfolio? Please do jump in with your thoughts. My portfolio at its core is based on Tim Hale’s Smarter Investing and is essentially just Modern Portfolio Theory. I hold some gold simply because it is not 100% correlated with my other asset classes meaning that there is a chance that I can get more return for a given risk profile. Within my methodology there are really only 3 free potential free lunches. This is one of them and the others come from minimising expenses and taxes. That’s also why I buy PHGP. Sure I’d prefer lower annual expenses but when I compare it to the buy/sell spread on Sovereign’s / Britannia’s or the commission/storage rates of BullionVault for my gold allocation in pound notes I think I'm ahead. As an aside and for full disclosure my original strategy actually called for 5% allocation to commodities rather than gold. When I tried to get into commodities all of a sudden a whole world of contango and backwardation appeared and I lost my shirt. In the end I settled gold as my commodities simply because I could buy ‘physical’ which took all of that away. It’s obviously a lot easier to store physical gold than it is to store a few hundred barrels of oil for example. Why 5%? What I've learnt on this journey is that there is no right allocation amount. There are just different amounts (within reason) that are right for each of us. I think it’s better to start, choose a number/strategy and stick with it rather than procrastinate. The sticking with it and not chasing last year’s winner is the key point. Nobody knows the Efficient Frontier before time so it’s just not worth worrying about. For me I want to hold some gold to get some uncorrelated asset free lunch so I need to be above 0%. I am however also conscious that gold does not pay interest or dividends nor create value. All it does IMHO is store value. Therefore over the very long term I’d expect it to do nothing more than match inflation with a lot of zigging and zagging in between. Over the very long term I however need a real return. I might get some from the zigging and zagging but I know I'm not going to get any from value generation, interest or dividends. A 10% allocation therefore sounded a little bit much as it would for instance take a 4% real return to 3.6% if I don't get any correlation benefit. 5% was then simply between 0% and 10%. If I had my day again and was starting on my journey could it be 3%, 8% or 10%? Absolutely. Would it be 25%? Probably not given the methodology I follow. I knew beans would be in there. I was also stung by contango when I first started naively with a gas ETC, though when I vaguely appreciated what was going on, I sold on the next up blip without too much loss (probably about the same as it would have cost me to have an IFA try to tell me how they worked). Incidentally, HSBC recently contacted me to offer me the money I lost with some of my early ETC trading, apparently because they did not warn me of the dangers. Because I believe in personal responsibiliy, I consider it my own fault, but accepted the massive refund of about £30 anyway, thank you. I generally avoid commodities now, because I do not know enough about them to be confident of their movement and contango+fees appear to make you a loss on most (those handled by futures contracts) unless you are confident demand will sufficiently increase/fall (long/short ETC) in a relatively short term. As I understand it, PHGP is physically backed by gold, not futures, so it has no contango, though there is a 0.39% annual fee on PHGP. That fee amounts to about 2% in 5yrs, or about 4% in 10yrs. For the average punter, the best buy/sell spread on coins is about 3.5% so the cost of PHGP is less than coins until you have held for more than about 10yrs. This ignores any platform charges for holding a PHGP investment, and any storage and shipping fees regarding bullion/coins. Even putting vanity to one side, having some physical gold nearby is phsychologically pleasant and comforting for most people, though, possibly from what we absorb as children from stories of treasure and the like. I think your physical coins/bars cost is going to be worse than that as you also need to consider storage costs. 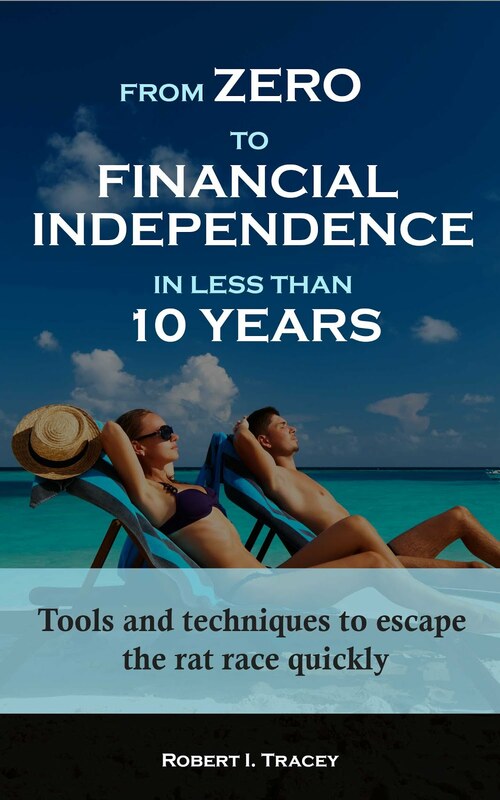 It's one thing to have a couple of coins floating around ones house/flat for comfort but 5-10% of your total retirement wealth is another problem altogether. That is going to need some professional secure storage which is going to also carry a cost. It is also my understanding (and experience) that PHGP does not carry any contango or backwardation problems. I'm interested as to why you decided up PHGP rather than the iShares Physical Gold ETC ticker: SGLN, which has a lower TER of 0.25% ?